William Hill Online Casino opened its virtual doors in 2008. Licensed and regulated by the UK Gambling Commission and Government of Gibraltar, the casino is renowned for its commitment to superior customer service, some of the best payouts in the industry, award-winning software, excellent VIP programme and unsurpassed gaming environment. The brand’s roots date all the way back to 1934, when the company was founded and quickly grew into one of the best betting businesses in the world. If you’re looking for exceptional online gaming, this may just be the casino for you. Just about every online casino offers new players a welcome bonus as a sign-up incentive. William Hill Casino is no exception. The casino offers a 100% match up to £300 on your first deposit. The site further offers a £10 bonus when you stake more than £40 daily, and there’s even a 150% deposit match up to the amount of £200 when you install the casino’s downloadable software. There is a hefty 40x wagering requirement on the welcome bonus and minimum £10 buy-in. The bonus expires 7 days from the date it is issued. Regular players can opt in for Moolah Back Monday where you stand to receive 50% bonus back on your losses. There’s also the Wednesday Warriors promotion, where you get 20 bonus spins for staking just £10. The casino has a loyalty programme, too where you earn points based on play. Accumulate enough points, and you can exchange them for free credits to extend your gaming fun. We also need to mention the 4-tiered VIP club. VIP players stand to earn extra rewards and privileges like higher table limits, higher exchange rate on comp points, bigger bonuses and faster withdrawals. With bonuses and promos like these, it’s easy to see why William Hill Casino is a firm favourite amongst UK players. If you prefer, you can make deposits using cash vouchers and pre-paid cards like Paysafecard. There is a minimum deposit amount of £10 for e-wallet, online banking and cash voucher deposits. You can also deposit funds via bank cheque or bank transfer, with a minimum deposit of £25 required. As for withdrawals, William Hill casino is one of the few online casinos that provides a huge array of options. All the abovementioned deposit methods can be used to make withdrawals. Credit, debit and Instadebit withdrawals take 3 – 5 working days, while e-wallet withdrawals take just 1 working day and options like Paysafecard and iDeal take 5 – 10 working days. If you’re after an instant withdrawal, opt for the William Hill Cash Direct option. William Hill online casino is powered by software giant, Playtech. That means user-friendly, first-class software with a massive selection of online casino games. In fact, there are over 200 games to chose from, including video slots, classic reels, progressive jackpots, video poker, keno, roulette, baccarat, blackjack and even scratch cards. If you’re a comic fanatic, you may be pleased to hear that William Hill casino has the best Marvel themed slots around. You can sift through titles like The Incredible Hulk, Fantastic Four, Iron Man, Elektra and a host of others. There are also plenty of football, celebrity and other themed slots to keep you busy for hours. For the casino’s VIP players and high rollers, there is an excellent selection of table games and online slots with increased coin bet range that makes for some seriously big wins. It’s the slots that stand out for us at William Hill. With close to 200 titles, there are plenty of themes to choose from. Whether you prefer mythology and fantasy or pop culture or perhaps sport, there is bound to be plenty to keep you spinning. You’ll find all the popular titles at William Hill Casino, like Leprechaun’s Luck, Ace Venture: Pet Detective and Age of the Gods along with grand jackpot games that range from thousands to millions of pounds. When it comes to table games, players can enjoy over 15 varieties, including the usual suspects such as blackjack and roulette. Roulette comes in several forms at William Hill, including American and French versions, and there are some cool titles like Multi Wheel Roulette and Age of God Roulette. As for blackjack, you can pick from the likes of Double Attach Blackjack, Blackjack Super 21, Blackjack Multihand 5 and a few others. There are also other types of table and card games on offer, such as baccarat, Sic Bo and craps. Another staple addition to the casino lobby is poker. There are a little over 15 poker variants to choose from, with plenty of well-known titles, including Joker Poker, Casino Hold’Em, Dueces Wild, Pau Gow Poker and Jacks or Better. With such a vast variety of top-notch games, we’re sure you’ll never get bored at William Hill online casino. Of course, there’s always the sportsbook section when you need a break from betting and a punt on the ponies. Another welcome addition to the casino’s incredibly impressive repertoire of games are the live casino games. With live dealer games continuing to soar in popularity with their exhilarating and unique gameplay in real time, with a real dealer, it’s no surprise that we find a large selection of live dealer games at William Hill. The live games include Live Casino Hold’Em, Live Baccarat, Live Blackjack and Live Roulette. Even if you’re just browsing through the menu of games from your computer, it’s abundantly clear the William Hill’s games can be played from your mobile device. Spot the small logo of a smartphone on any featured image and you can make the switch to mobile gaming in a second to carry on playing on the go, whether you’re trying out games in free mode or playing for real money. You can access the main mobile version through your device’s browser. Here, you can access about 100 games, most of which are online slots. Getting to spin the reels on your mobile is not a bad thing, though, especially considering Playtech’s incredible video slots. There are even big progressives you can play on the move, like Gold Rally, Gladiator Jackpots, Jackpot Giant and several of the Marvel titles. There are also a handful of table games and scratch cards available on the casino’s mobile platform. If you’re an iPhone and iPad user, simply conduct a quick search on iTunes and you’ll find the dedicated William Hill casino iOS app which is free and super-fast to install. While the choice of games and banking options are big factors when choosing whether or not to sign up at an online casino, security and fair play are just as important, if not more so. After all, you plan to put up your hard-earned cash and you need assurance that a casino provides a safe and secure gaming environment and that all the games in their portfolio are fair. Oddly enough, William Hill online casino doesn’t sport the eCOGRA seal of approval like most other big players in the online gaming space. However, another highly reputable organisation by the name of Testing Systems Testing evaluate the games and give their stamp of fair-gaming approval. At the time of conducting our review, we couldn’t find verification on average game payouts reported on the caisno’s site, but we have no doubt that gaming is fair at William Hill. The casino is operated by WHG (International) Limited, a Gibraltar-registered company. The casino is licensed and regulated by the Gibraltar Government and UK Gambling Commission and all your financial and personal information is fully protected with the use of state-of-the-art encryption technology for safe and secure gaming. William Hill is a renowned international brand and that means you can get answers to your questions and concerns in your own language. The friendly and knowledgeable customer support team are organised and on hand 24 hours a day, 7 days a week, every day of the year. You can access a support agent via live chat, email, free phone or even fax. There’s no denying that William Hill is a massive brand when it comes to gambling. After conducting our review of the online casino, we can safely say that the online casino is as impressive as any other offering under this brand. Powered by Playtech, the casino has all the active creations for immersive slot gameplay, loads of table games, video poker, card games and plenty of enthralling live games to keep you busy for ages. Variety at any online casino is important, but it seems that the Marvel video slots come out trumps in terms of popularity, even on William Hill’s mobile casino. The enticing bonuses and promotions, along with the loyalty and VIP programmes and the long list of deposit and withdrawal methods make it easy for players to make William Hill casino their top choice. 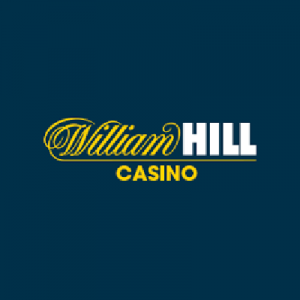 With fast payouts and exceptional security and fairness, there is no doubt in our minds that William Hill casino is one for the top of your list. Claim your bonus and start winning today!